Ruian Zhangshi Hardware Co., Ltd was established in 1998,located in Wenzhou, zhejiang province. East of China,near to Ningbo & Shanghai Port. 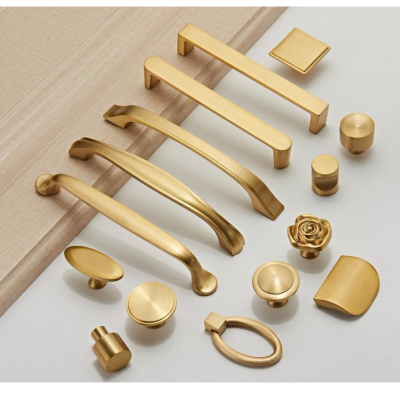 We specialized in producing various types of home deceleration, furniture, kitchen cabinet hardware accessories for decades, including hinges, door stopper, copper handle, zinc alloy handle with more that 1 million pcs of annual output. We have numbers of outstanding Technical staff and manager, and more than 5 design person. So we own exclusive product design, develop new unique and elegant styles to meet the user’s comfortable hand feeling. And we win the appreciate from customers from domestic and aboard. We adopts modern intelligent precision equipment, automated production line, pursues excellence in product quality and the plating process, keep improving the production control process, manufacturing process and meet the technical requirements from global customers. We have advantage in the mold development, CNC machining, die-casting, forging process, in that our price is lower 3%-5% than other competes. More than 10 person sales team, with perfect customer service system, we keep close and high-efficiency communication with client, constantly take customers' needs and advice to improve service level and quality, achieve orders in good quality and quantities. We have obtained BV production capacity evaluation certification, will enlarge oversea market and further international cooperation in the next few years. Our company value core is “Integrity first, quality first, customer first, win-win cooperation”, so we can keep consistent progress. Our promise to our client is good service, competitive price, complete the order with high quality.